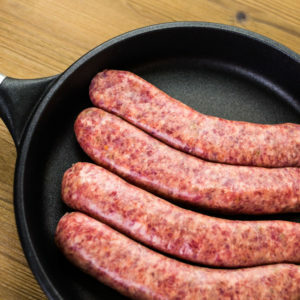 Our Irish Bratwurst are delicious thin sausage links. Therefore they are quickly prepared. Hence making them the perfect contribution to a fun savory breakfast. 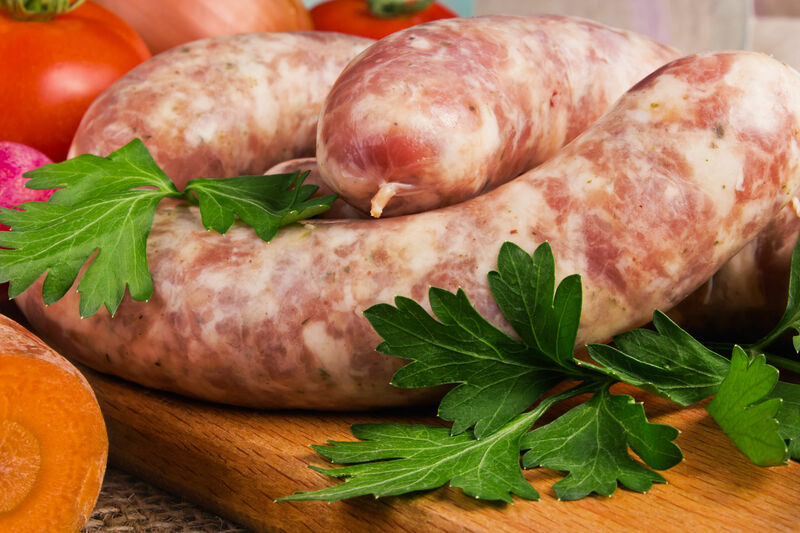 A fresh sausage that is certainly as juicy as it is tasteful. You can taste the hint of sage and the spicy note that in conclusion makes this sausage so exquisite. Its overall flavor is well balanced thus perfectly bringing out the meat flavor. The freshness of the sage is above all a highlight of this sauage. 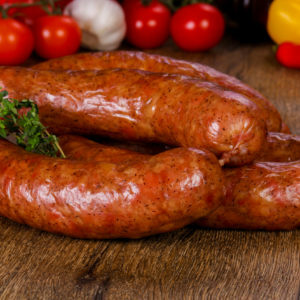 YOUBITE’s Irish sausage is our interpretation of the Irish banger. In contrast to the original however, ours are made without any breadcrumbs and less fat. In conclusion; ours are not as greasy. 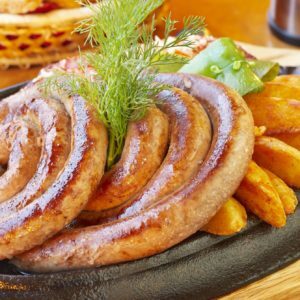 Furthermore, this sausage goes very well with some fries and some shredded cheese on top. Most importantly, we never use MSGs or mechanically separated meat in our products. We believe that with the right sourcing of meat and using fresh ingredients you don’t need additives to get a great flavor. Make sure you try our sausages and judge yourself. 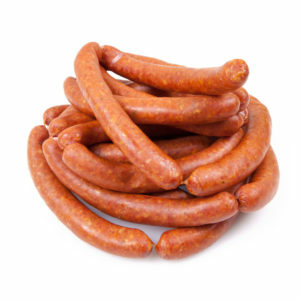 Also take a look at our other sausages. Ingredients: Pork, water, salt, fresh onion, fresh sage, fresh garlic, spices, spice extracts, dextrose. Stuffed in a natural hog casing.